Cygames committed to delivering a game that meets fans' expectations. 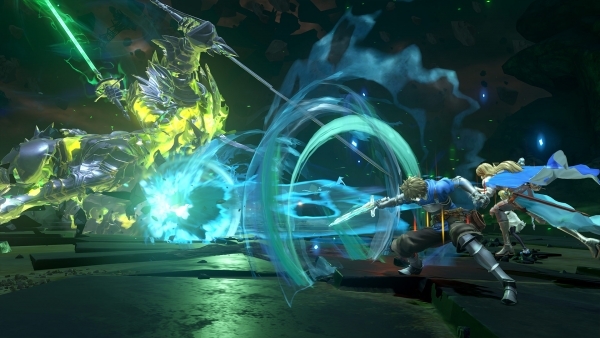 Fantasy: Relink the PlayStation 4 action RPG based on the popular Japanese mobile game, has been a co-development effort between Cygames and Platinum Games up to now, but going forward Cygames will handle the entire development internally, the companies meddelat. Find each company's press release below. Tokyo-based video game publisher and developer Cygames, Inc. (HQ: Shibuya-ku, Tokyo; President: Koichi Watanabe, hereinafter referred to as "Cygames") has been engaged in the co-development of the upcoming console game Granblue Fantasy: Relink together with esteemed developer PlatinumGames Inc.
00 percent of development internally. While we, PlatinumGames have been working with Cygames in co-development of the upcoming console game Granblue Fantasy: Relink we officially announce our contract on the project has come to an end. Development will still continue, but be handled solely by Cygames' internal development team. If you missed it in December 2018, catch the latest trailer, gameplay, and details here.